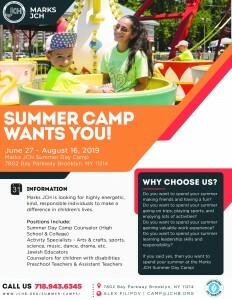 Apply to work at Marks JCH Summer Day Camp! Don’t miss out on our fun-filled Spring Break minicamp! Spots are running out quick!